Whitby Town Football Club chairman Graham Manser says he would welcome any moves to create a new EvoStik League Midlands division. 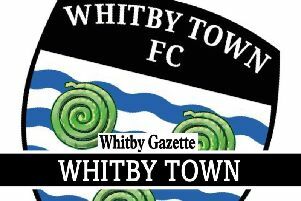 Mr Manser told the Whitby Gazette he would be all in favour of such a move as it would alleviate the club’s travelling costs and potentially avoid trips to grounds as far away as Norfolk and Wales. “We are going further and further south – it’s crazy,” he said. “It’s not a Northern Premier League any more – we’ve only got Blyth and Frickley they are 90 miles away. The issue of creating a new Midlands division was discussed at their recent AGM. Chairman of the league Mark Harris, said it is the opinion of the league’s board that a reorganisation is needed as the area covered by the league is too big. He believes the league should be re-organised to include more teams from the Northern League to reduce travelling times to midweek away games and to reduce wear and tear on supporters’ pockets and players’ bodies. “We will continue to lobby, through the appropriate channels, for these things to be discussed and will do whatever we can to ensure the interests of our member clubs are met – reduced travelling, reduction in number of teams and more clubs in the north of England,” said Mr Harris. However, he believes the latest round of reorganising will not produce any changes in the short-term. “I can’t see it within the next two years, “ he said. “The Northern Premier and some of its fellow feeder leagues do not disagree on the principle of creating a Midlands-based division but the devil is in the detail. To illustrate some of the distances travelled in the Northern Premier, a trip from Whitby to Colwyn Bay, North Wales, is 388 miles there and back, while a round-trip to Kings Lynn, is 372 miles and would take around seven hours.